The Association for Geographic Information used its annual conference to explore applications for location data in solving the UK’s productivity puzzle – a challenge that affects us all, writes Merryn Henderson. GI has become an extremely useful tool for everyday life: it is the building block for every map-enabled app on a smartphone. 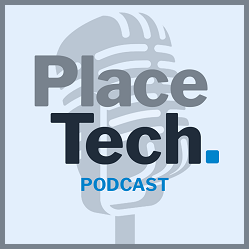 We couldn’t choose a house without it; planners and developers couldn’t build without it; and Uber can’t pick us up without having location data – granular, georeferencing – as the core component of its call-a-cab app. Britain is a world leader in creating high-quality geospatial data at a national level, managing it, and helping organisations and businesses to capitalise on its potential. In recognition of this, and the geospatial industry’s achievements to date, the government set up a Geospatial Commission, in the belief that stronger, more coherent policymaking will boost our nation’s productivity and economic growth. The Commission’s stated purpose is to unlock £11bn of value for the British economy. Within this aim is a significant focus on the use of location data by the property sector. 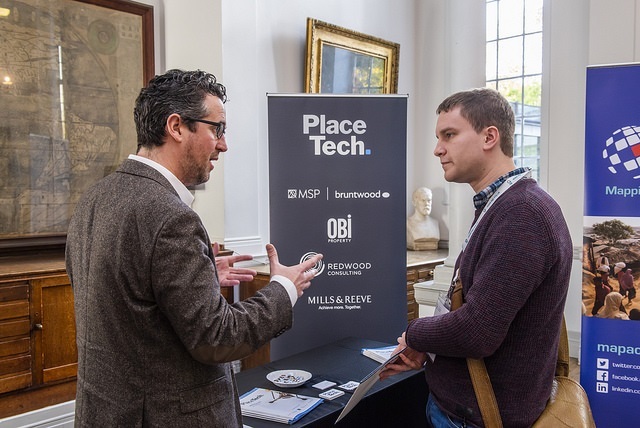 Behind impressive presentations at GeoCom, held at the Royal Geographical Society in London, from the likes of the UK’s Space Agency, the National Infrastructure Commission and others, there was a hard-hitting message for the land and property sector. 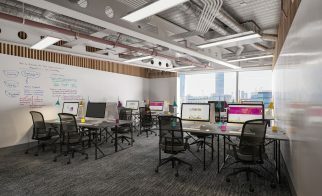 The government wants more effective collaboration at a grass-roots level: getting the producers of raw data – such as Ordnance Survey, HM Land Registry, and the Valuation Office Agency – to deliver streamlined products and services that will bring down costs, ubiquitously, right across industry. 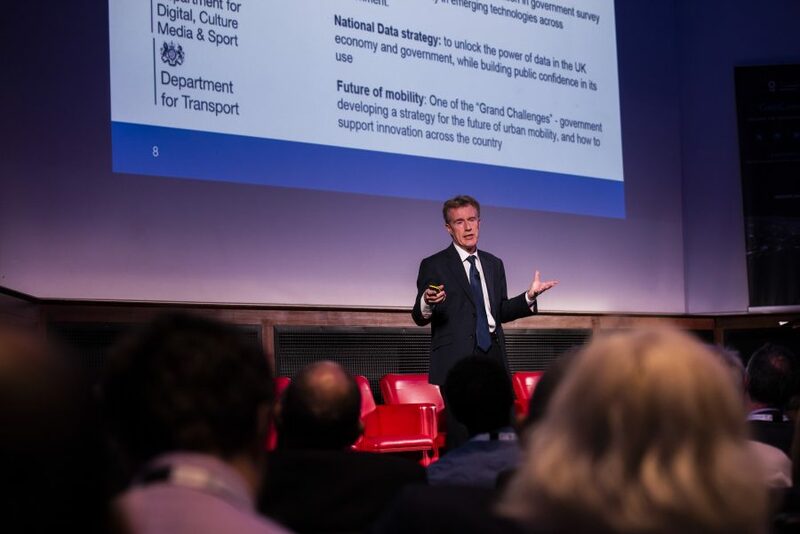 The first tranche of funding saw £5m awarded to the ‘big six’ government agencies to spend on accessibility, interoperability – linking data platforms – and data quality projects. 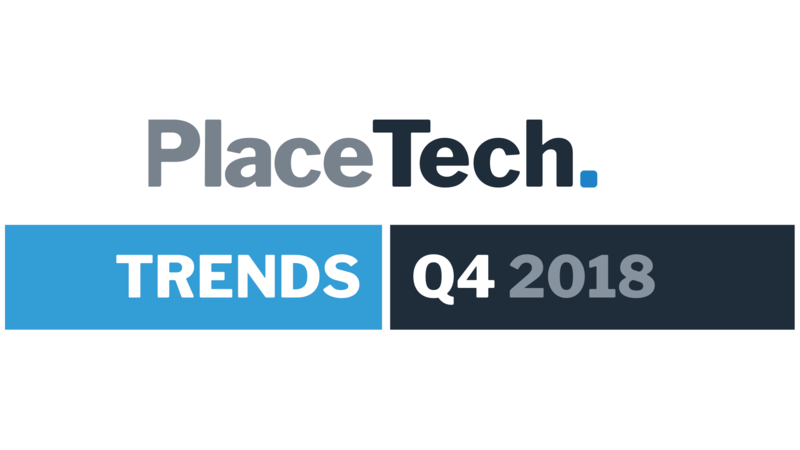 For anyone using maps or location data to plan and develop property, this will mean less duplication of effort; wider releases of essential data to expedite the planning process; and greater access to fundamental building blocks, such as the granular location data that resides within OS’s most powerful product, OS Master Map. This work takes time. To date, the Geospatial Commission has been given £80m for use in projects that will unlock this £11bn of value. Some of that money has already been allocated and, at the AGI’s conference, Priest announced a new strand of activity. The Commission will invest up to £1.5m to fund projects for crowdsourcing the creation and/or maintenance of geospatial datasets – an interesting challenge when so many users demand high accuracy, confidence in comprehensive datasets, and absolute currency of the data involved – but this bold approach and the Commission’s overarching ambition was echoed by the conference’s surprise guest, Oliver Dowden, minister for implementation in the Cabinet Office. 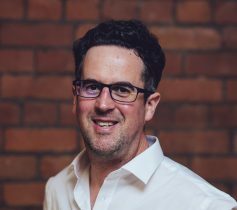 For digital land, government backing is significant commitment – the geospatial industry has had to forge ahead, trumpeting its own value for many years – while in tandem, enterprise has been quicker on the up-take. Uber, for example, is a classic case of big business using geospatial intelligence in smart ways to understand its customers’ needs. 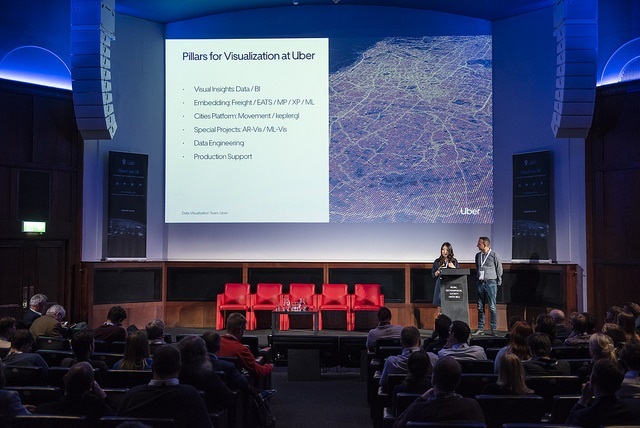 At GeoCom, Shan He, senior software engineer at Uber, showcased the firm’s kepler.gl opensource tool that has the capability to create visualisations of large-scale geospatial data in a browser. For Uber, generating travel data constantly, information is now its biggest asset – not its drivers or vehicles. Location visualisations render millions of pieces of data in the blink of an eye, making it easier for people on the ground to understand what they’re seeing – to make evidence-based decisions, taking many factors into account. 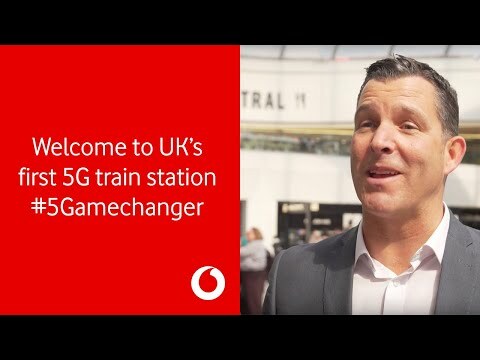 It’s about where people travel; where they need a service most; where needs aren’t being met, and where to develop a consumer-led business next. The parallels for planners and developers are clear. Speakers at GeoCom were keen to point out the myriad potential benefits of location data in pursuit of productivity. Every economy in the G7 has experienced slower productivity growth since the 2008 financial crisis and ensuing recession, but that slowdown has been greatest in the UK. Between 1997 and 2007, output-per-hour-worked grew by an average of 2.1% a year, while growth has averaged just 0.2% a year in the last decade. For land and property in particular, there are real gains to be made through better use of location data. The AGI’s conference keynotes led to clear conclusions: collaboration will inspire a holistic view of the property lifecycle. The AGI has a focus on skills in its 2019 programme, plus standards and better access to GI, and, alongside the Geospatial Commission’s work, this should accelerate innovation and productivity across every sector, not just for land and property.